This is a great way to promote the Medal System in your studio. 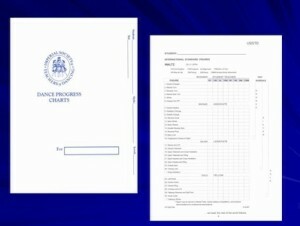 The introductory cost is $ 2.50 each for the International Style Student Progress Charts, packed 10 per case. These beautiful charts are made from heavy stock paper, offering your students a true value that your studio would be proud to offer. These Progress Charts cover the International Style Latin and Standard syllabus figures including Bronze, Silver and Gold. A value for your students, a teaching aid for your instructors. 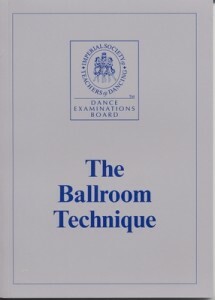 After the outstanding success of Alex Moore’s Revised Technique of Ballroom Dancing, the ISTD has amended the book to include a number of extra figures and a small number of technical changes. The dances in this book are International Style Waltz, Slow Foxtrot, Tango and Quickstep. USISTD now offers exams at Associate, Licentiate, & Fellowship levels in this dance, all drawn from this syllabus. 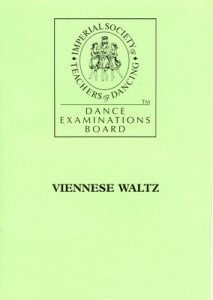 Also a valuable aide for development of proper style and characteristics of Viennese Waltz as required for International Ballroom (Standard) competitions featuring this dance. 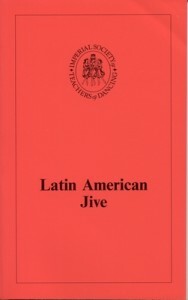 The Latin American technique has been completely revised and is now issued in 5 separate books, 1 book per dance. 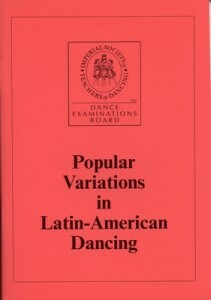 Each book contains Student-Teacher, Associate, Licentiate, and Fellowship material about 1 dance, so all 5 are needed for International Latin American exam preparation. 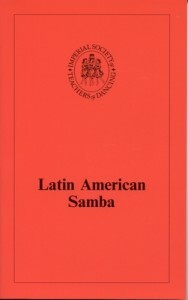 Contains variations on all 5 Latin American dances, many of which can also be adapted for use in American style Rhythm dancing. Great source of material for classes, demos, private lessons, exhibitions, & open competitions. NEW. 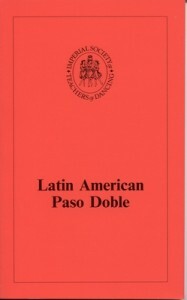 This manual will put the finishing touches to the preparation for all levels of Professional Latin-American exams. 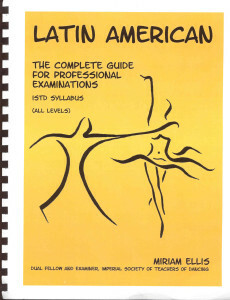 If you are studying to take a Professional Exam in the Latin-American, ISTD Syllabus, this book is a valuable guide to own. All levels of Exams from Associate, Licentiate, or Fellowship, are covered in this guide. 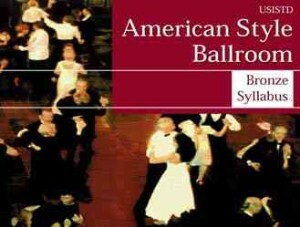 This book covers the Bronze American Waltz, Foxtrot, Tango, V. Waltz, and Peabody. A complete syllabus in chart form covering the figures required for Bronze American Smooth Exams. 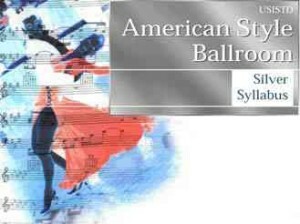 Written for the Society by Esther Don, this is the official syllabus from which all USISTD American style Bronze (Associate) Ballroom (Smooth) exams are drawn. FT, W, T, & V.W. are required for exams. Also contains Bronze Peabody as a bonus dance. Foxtrot, Tango, V. Waltz, and Peabody. A complete syllabus in chart form covering the figures required for Silver American Smooth Exams. 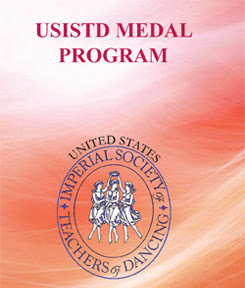 Written for the Society by Esther Don, this is the official syllabus from which all USISTD American style Silver (Licentiate) Ballroom (Smooth) exams are drawn. FT, W, T, & V.W. are required for exams. Also contains Silver Peabody as a bonus dance. This book covers the Gold American Waltz, Foxtrot, Tango, V. Waltz, and Peabody. A complete syllabus in chart form covering the figures required for Gold American Smooth Exams. 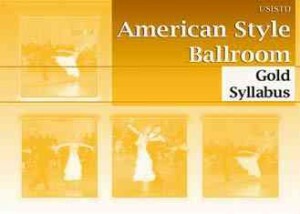 Written for the Society by Esther Don, this is the official syllabus from which all USISTD American style Gold (Fellowship) Ballroom (Smooth) exams are drawn. FT, W, T, & V.W. are required for exams. Also contains Gold Peabody as a bonus dance. 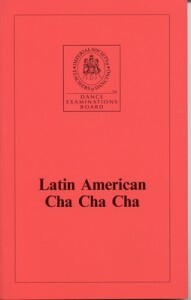 This book covers the Bronze American Cha Cha Cha, Rumba, Swing, Bolero, and Mambo. 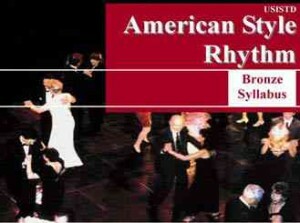 A complete syllabus in chart form covering the figures required for Bronze American Rhythm Exams. 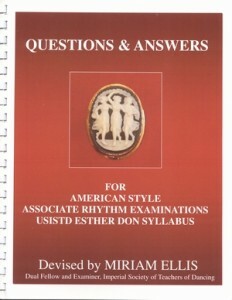 Written for the Society by Esther Don, this is the official syllabus from which all USISTD American style Bronze (Associate) Rhythm exams are drawn. 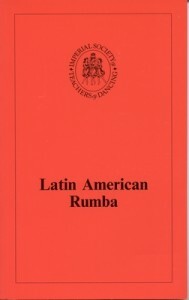 This book covers the Silver American Cha Cha Cha, Rumba, Swing, Bolero, and Mambo. A complete syllabus in chart form covering the figures required for Silver American Rhythm Exams. 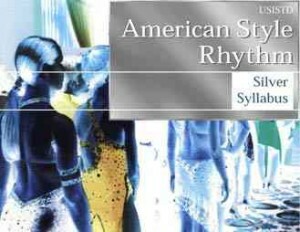 Written for the Society by Esther Don, this is the official syllabus from which all USISTD American style Silver (Licentiate) Rhythm exams are drawn. This book covers the Gold American Cha Cha Cha, Rumba, Swing, Bolero, and Mambo. A complete syllabus in chart form covering the figures required for Gold American Rhythm Exams. 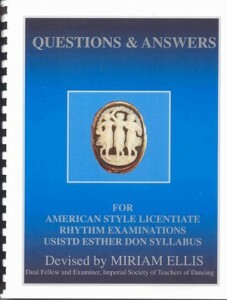 Written for the Society by Esther Don, this is the official syllabus from which all USISTD American style Gold (Fellowship) Rhythm exams are drawn. Written by Miriam Ellis. 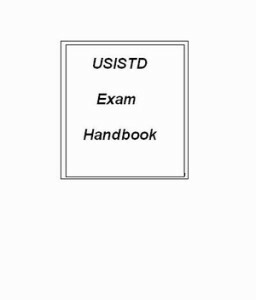 This manual is a list of Questions and Answers to help the candidate prepare for the USISTD American Style Exams, based on the Bronze USISTD American Syllabus, written by Esther Don. Written by Miriam Ellis. 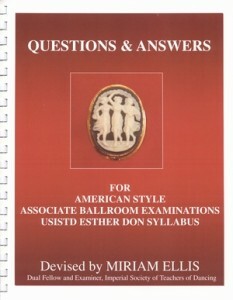 This manual is a list of Questions and Answers to help the candidate prepare for the USISTD American Style Exams, based on the Silver USISTD American Syllabus, written by Esther Don. 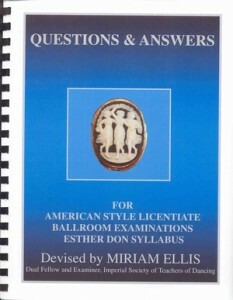 rican Style Exams, based on the Bronze USISTD American Syllabus, written by Esther Don. 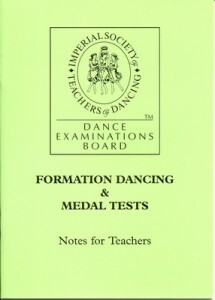 This publication contains all needed information on how to prepare staff & students in your studio for exams & medal tests. It is a “must have” when preparing for professional exams, and provides a complete listing of the types of exams available. The EXAMINATIONS HANDBOOK walks you through all stages of setting up and taking exams, how to contact the Examinations Director, how to arrange for Examiners, going through “mock” exams, and so on. Click here to download the Examination Handbook PDF for free! A valuable aide for learning how to choreograph and teach formations for demos, competitions, and medal tests.